Over the last month, I’ve been going to the spa probably two or three times a week. I love swimming and staying in the sauna more than what you’d consider healthy. I guess I love the heat! How does my skin stay soft and elastic then? 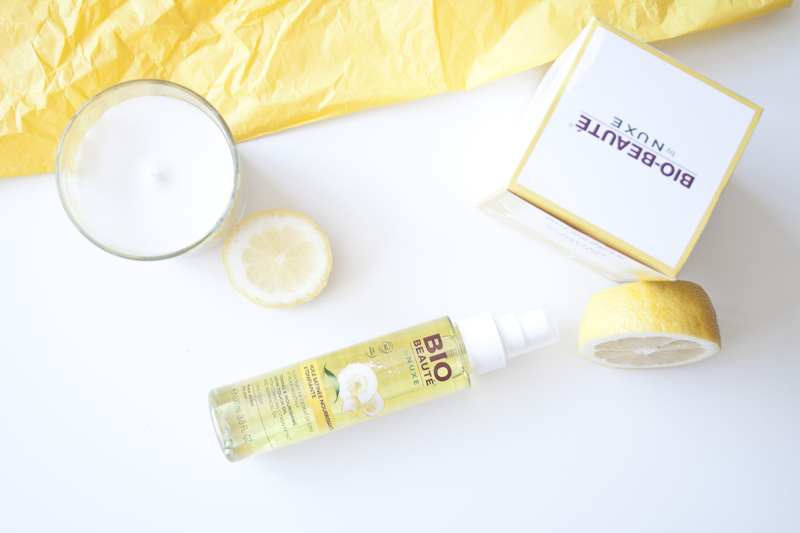 I use a new product by Bio Beauté that I fell in love with. Bio Beauté Toning & Nourishing Satin-Touch Oil is just perfect for dry skin, it’s nourishing and moisturizing. It smells delicious of sweet lemon – those of you who use a lemon essence for cooking will understand. The oil soaks in quickly and easily, doesn’t leave heavy oily trails and contains 100% natural ingredients among which vegetable oils, Corsica lemon extracts, sesame plant oil rich in vitamin E, grapefruit and vanilla extracts. I’d recommend it to all skin types. The effect is soft and supple skin throughout the whole day. Apply after a hot shower in the evening and see the results on your skin in the morning. This is definitely the after-shower oil I will be using this summer!